Today I have created a beautiful card for Mother's Day by using a non-traditional Mother's Day set. I used a Christmas stamp & die set; Wonderful Wreath - well it's not just for Christmas is it? It's about getting the most from your products and the good news is that this set is still available! Yes it's one of the *returning favourites* and you can save money by purchasing it in bundle :) Double yay!! And it's available in French and German. Anyway on to the card - because you all came to see the pretty card right? 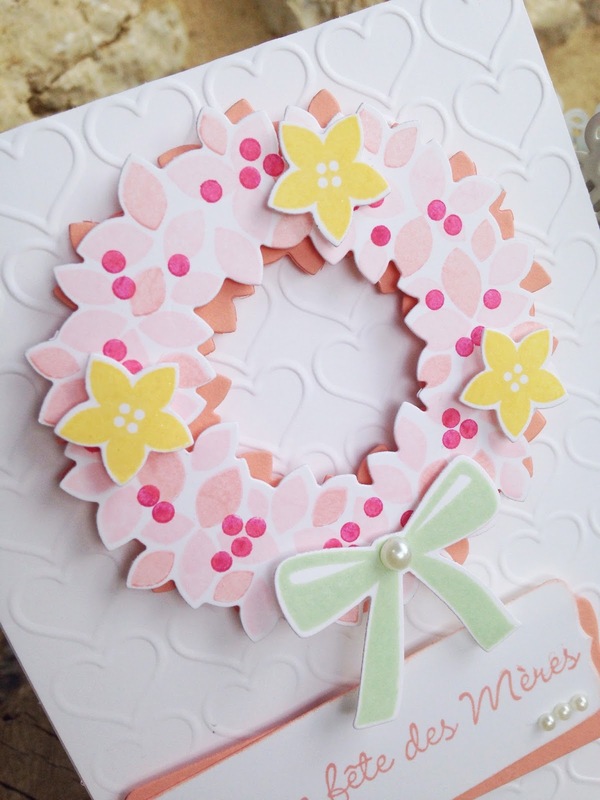 Now although this is a photopolymer stamp set alignment of the leaves of the wreath can be tricky but I have a tutorial here to walk you through it. After a couple of attempts I found the following steps to be easiest when lining up the leaves. I call Stamp 1 the full background stamp of leaves, Stamp 2 is the highlight leaves and Stamp 3 is the berries. Using Stamp 3 ink up with Strawberry Slush and stamp off onto scratch paper before aligning up and stamping down. The die cutting can be tricky but again the dies have tabs to help you achieve perfect alignment. The sentiment is from the amazing Sweet Laughter/Merci Maman stamp set that I featured yesterday. And I will be back again next week with more cards using this set too. You still have time to order this set and be able to create with it in time for Mother's Day. Clicking any of the blue words in this blog post will take you direct to my online store where residents of the United Kingdom, France, Germany, Holland and Austria can order 24 hours a day and delivery is normally within 3 working days. 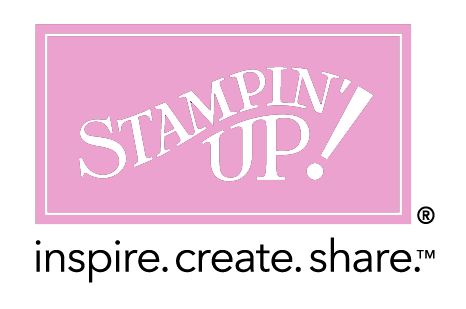 In fact Stampin' Up! give priority to customers over demonstrators when preparing orders for shipping! You may be aware that although I am English I live in France. I would be interested to know from my French readers if you would also like to see the instructional part of my blog posts in French? Please contact me if this is something that you feel would be helpful. Vous savez que je suis Anglais mais je vis en France. Je suis intéressé de savoir de mes filles français si vous voulez voir la partie de mon blog en français? S'il vous plaît me contacter si c'est quelque chose que vous pensez serait utile.